Since our starting, we are important in offering superb quality of White Quartz Piano Stand to our consumers. Backed by a team of well-informed team, we are extremely known organization in the market for offering an extensive series of Musical Keyboard Stand. Our company has gained immense experience in the field of presenting Veena Folding Stand. We have carved a niche amongst the most dominant names in this domain, instrumental in providing an excellent quality range of Musical Instrument Stand. 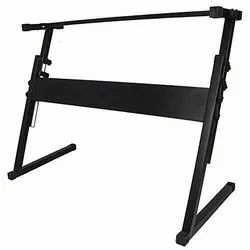 Customers admire our firm form offering quality embedded Keyboard Stand. This presented drum is prepared under guidance of diligent professionals. These drums are free from damage by any factor such as using for longer time. Besides, these durable drums are easy to shift and praised by consumers due to perfect finish.